No matter the size of your project or budget, our low, flat rates make it easy to save on debris removal. Our rates include the cost of delivery, your rental period, pickup and applicable taxes, so you know what you are paying upfront. To start saving today, give us a call. We offer 10 to 40 cubic yard roll off dumpster rentals in Solon. You’ll speak to a real person every time you call, Monday through Friday. Dedicated professionals can answer any questions you have about debris removal. Take your time finishing your project with our flexible rental periods. Cleaning out your Glenallen Avenue garage? Make junk removal projects anywhere in Solon simple with a dumpster rental. Order a bin and we'll place it in your driveway so you can simply walk your junk inside. 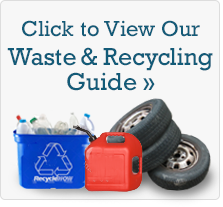 You won’t have to make a single trip to the dump or waste time unloading your debris. As soon as you’re done working, just call us to haul away the container and all your debris. To get rid of junk faster, call our team today. Looking for more information about working with our Solon-area dumpster rental service? Call our team of experts today. We’ve helped thousands of customers choose the right roll off dumpster for their project. A service representative will walk you through the entire process, help you choose a container, help choose where it should be placed on-site, and schedule your rental. Depending on the size of your job, we can also schedule ongoing empty-and-return service to keep your team moving. Learn more by calling 216-258-0014 today.